This witty gift box will bring a smile to the face of any coffee lover. The boxed set includes 16 oz of our medium roast, organic, fair trade ground St. Joe Coffee. 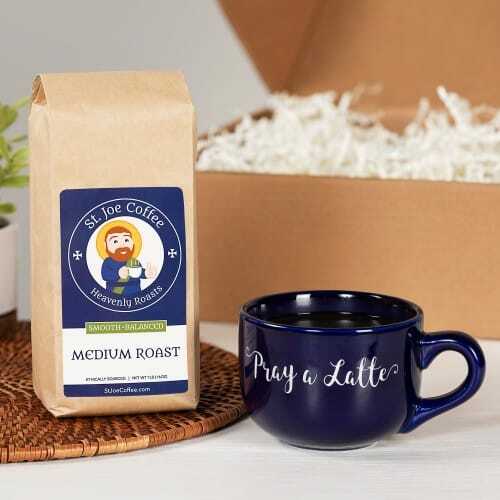 A cheerful, ceramic latte mug in cobalt blue, with the witty phrase "Pray a latte" makes the perfect companion for morning or evening reflection time.